If it’s true that Alton and Rabon Delmore were the best known ‘brother duet’ ever to record for King Records, then it’s equally true that their contemporaries Leslie and George Muddleduck rank them a close second. 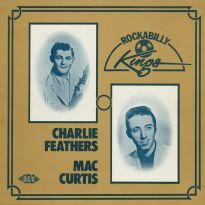 Not that anyone ever bought a record by “The Muddleduck Brothers” on King, or any other label. 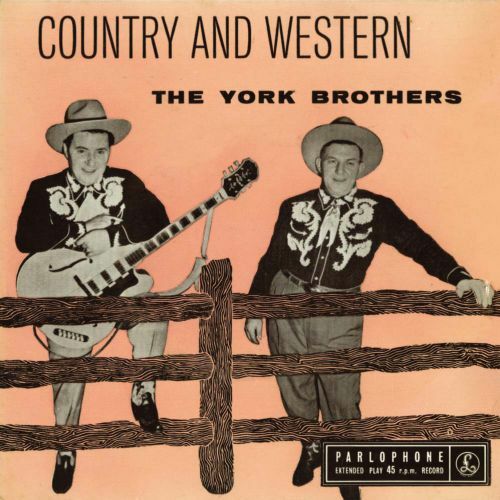 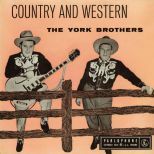 However, under the somwehat easier-to-remember guise of York Brothers, the duo shifted a considerable amount of 78s during their heyday and they were, for much of their recording career, actually the best selling Brothers on Syd Nathan’s illustrious imprint. Several of their biggest songs have gone onto become hillbilly classics, such as Mountain Rosa Lee and Tennessee Tango. 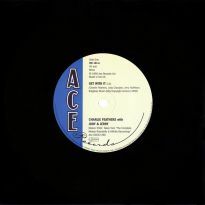 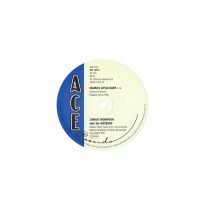 It’s thus a pleasure to add Les and George to Ace’s ongoing ‘acetate series’ with a CD titled after one of their biggest hits – and one that influence scores of other brother acts, most notably the Everly Brothers – Long Time Gone. 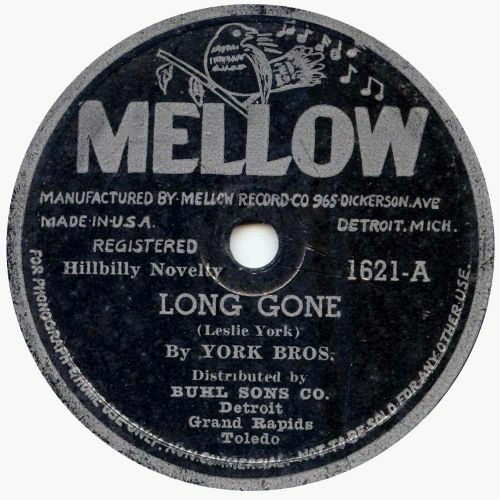 Although born in the same area of Kentucky as their King labelmate Grandpa Jones, the York Brothers are best known as being part of Michigan’s thriving hillbilly scene of the 1930s and 1940s, celebrating their connections with the state in the biggest of their early hits, Hamtramck Mama. 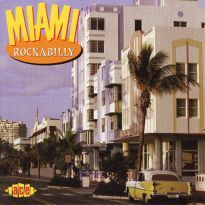 That’s not included here, as it wasn’t on King, but the pair were never shy about hiding their respect for their long time homebase, as this CD’s excellent Motor City Boogie amply demonstrates. 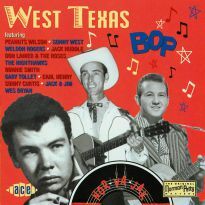 At the time that these King recordings were made, they were operating out of Nashville and were appearing regularly on the Grand Ole Opry, as well as touring the American south and midwest, where they linked up with the Cincinnati-based King label. 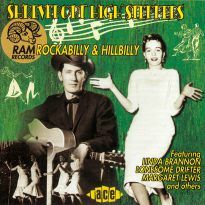 King’s founder Syd Nathan signed them in August 1947 and their first coupling of Let’s Don’t Sleep Again and They Laid My Darling Away hit the streets within a matter of weeks, giving them a small hit and an encouraging start to their new association with King. 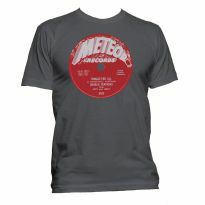 Like most of their contemporaries, Leslie and George recorded extensively in the lead up to the 1948 AFM recording ban. 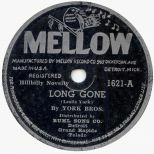 Many of the masters that were hurriedly recorded then stayed in the can when the ban was lifted late in ‘48, and have remained unheard and unissued for the best part of 58 years. 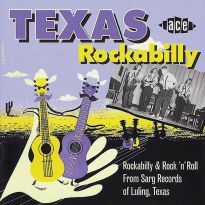 It would be a lie to say that all of their unissued sides were masterpieces, but many are at least as good as those that were released by King, and thus we’re delighted to give a whopping nine of them their world premiere release here – as well as a couple of equally unissued alternate takes to bring the total number of unissued cuts up to eleven. 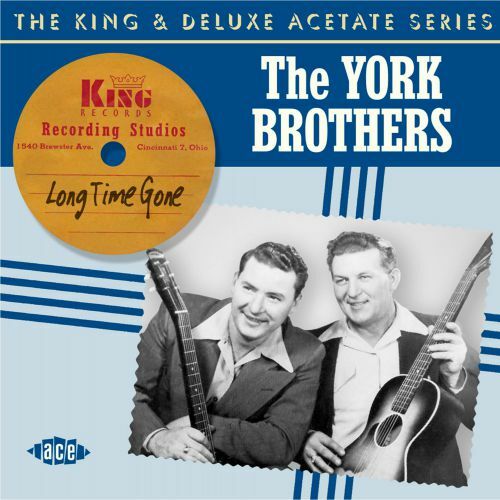 The York Brothers’ asscociation with King carried on into the second half of the 1950s – indeed, they were one of the last of King’s 1940s hillbilly stars to leave the label – and it’s hoped that the sales of this ‘acetate series’ project will prove sufficient for us to be able to come out with a future volume, covering the ‘tape’ era. 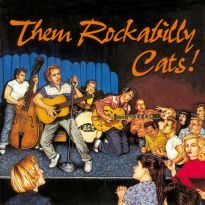 It would be a shame if it didn’t, as the chance to put out their great hillbilly covers of R&B hits like Sixty Minute Man, It Hurts Me To My Heart, Mohawk Squaw, Chicken Blues and Tremblin’ is almost too good to pass up. 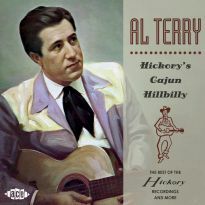 You can hear one of the duo’s earlier attempts as covering an R&B hit here – the only one from the ‘acetate’ era – as they get to grips with Tiny Bradshaw’s Gravy Train, a song co-written by King’s black head of A&R Henry Glover who also found time to supervise a good number of hillbilly sessions, several by the Yorks among them. 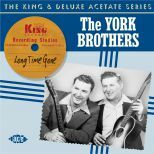 Leslie and George York were considerably more versatile than a lot of brother acts in terms of their depth and breadth of repertoire. 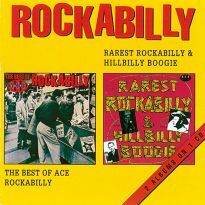 It’s a real shame that history has not afforded them their full due in terms of acclaim. 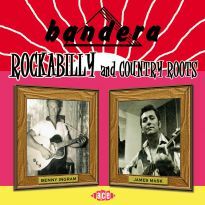 Hopefully this excellent CD will go some way to belatedly rectifying that situation for Mr and Mrs Muddleduck’s two talented sons!